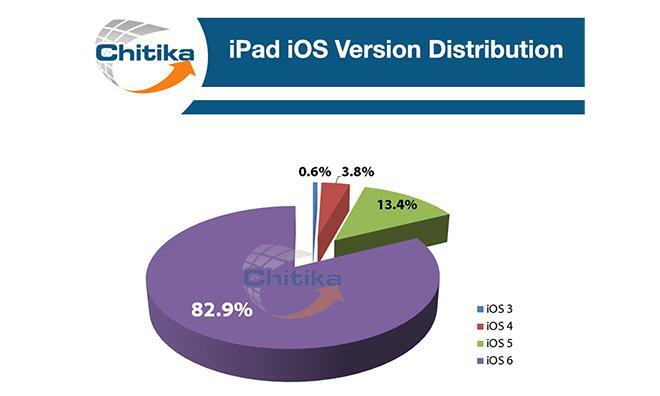 Chitika Insights took a look at iOS version distribution ahead of next week's Worldwide Developer Conference in San Francisco, finding that iOS 6 dominates both the iPhone and iPad with regard to North American mobile web traffic. 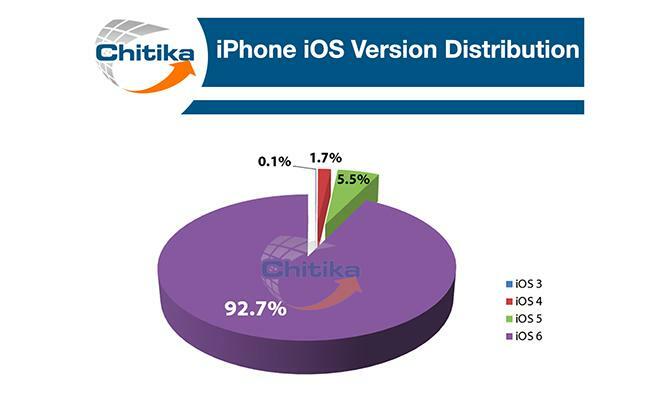 Among iPhones sampled in Chitika's study, 92.7 percent were running some version of iOS 6. Among iPads, 82.9 percent were running the latest version of the OS. Within the remaining versions of iOS, iOS 5 was the most popular on iPhones, with 5.5 percent traffic share. Version 4 had a 1.7 percent share, while iOS 3 had a 0.1 percent share. Older versions fared a bit better on the iPad, where iOS 5 held a 13.4 percent share. Versions 4 and 3 had 3.8 and 0.6 percent shares, respectively. Chitika explains the relatively large continued presence of older iOS versions on the iPad as likely being an outgrowth of the feature upgrades brought to the OS with iOS 6. That version, launched in September, added features  e.g. FaceTime over cellular, turn-by-turn navigation  that are most useful on a device with a cellular connection. Chitika's study was based on an analysis of approximately 300 million web page views in the United States and Canada in late May. Apple has remained largely quiet on what users can expect from iOS 7, though the company has confirmed that the mobile OS will be shown off in its latest incarnation at WWDC 2013. Among the rumored features are a new, flat interface and a possible radio service. No matter the features, iOS 7 will likely see rapid adoption upon its release, as have previous versions. The current version, iOS 6, was on more than 60 percent of iPhones and iPads within a month of its release. By February, that figure had grown to more than 80 percent.